Worse than Nike, however, are what Greenpeace dubs the “Detox losers.” Joining the ignominious ranks of Georgio Armani, Gap, and PVH Group (Calvin Klein, Tommy Hilfiger, et. al.) this year are Diesel, Dolce & Gabbana, Hermes, LVMH (Dior, Louis Vuitton, EDUN, et. al. ), and Versace. Greenpeace launched its Detox campaign in 2011 to rally fashion brands to committing to the zero discharge of hormone-disrupting industrial chemicals—such as perfluorinated compounds, nonylphenols, heavy metals, and phthalates—from their supply chains by 2020. The companies are also required to disclose any discharge of toxic chemicals from their facilities, particularly to communities residing at the site of the pollution. RELATED | Why Are Fashion Brands Committing to Detoxing in 2020 and Not Earlier? The Detox Catwalk demonstrates, however, that some companies are better at living up to their promises than others. Nike, in other words, needs to stop digging in its heels and just do it already. 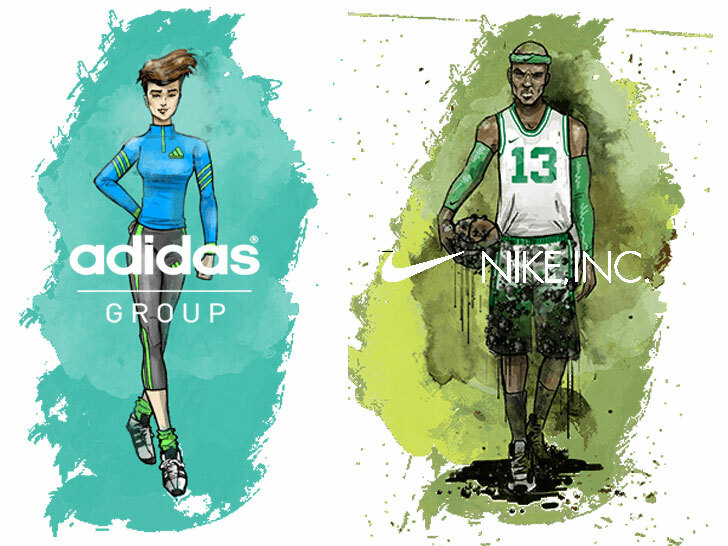 Adidas Now a "Detox Leader," Nike Still a "Greenwasher"
Looks like Adidas has finally cleaned up its act. A year and a half after Greenpeace branded it a "Detox greenwasher," the sportswear giant is now "back on track" as a leader in eliminating hazardous chemicals from its supply chain. Rival company Nike, on the other hand, has made scant progress since it committed to the Detox challenge in 2011, says the environmental group. "Despite putting considerable resources into its chemicals program over many years, Nike�s perpetual development of multiple tools has failed to deliver real changes on the key issues of the Detox campaign," notes Greenpeace on its updated "Detox Catwalk" website, which lays bare how effectively major fashion brands are addressing toxic pollution. "Instead of working with urgency to eliminate hazardous chemicals, Nike is hiding behind weak commitments whilst portraying themselves to consumers as fashion-conscious industry leaders."